The urge to travel, to go beyond known horizons and the curiosity to mingle and experience varying lifestyles is universal. Fortunately, I have been given many such opportunities. Some of my most pleasurable moments remind me of my six years stay in Italy, from 1975 to 1980. I must admit at the outset that it was my first home in the western world. Although I had earlier visited Venice as a tourist, setting up a home in this country and living among Italians was a unique interlude to my Indian mindset. 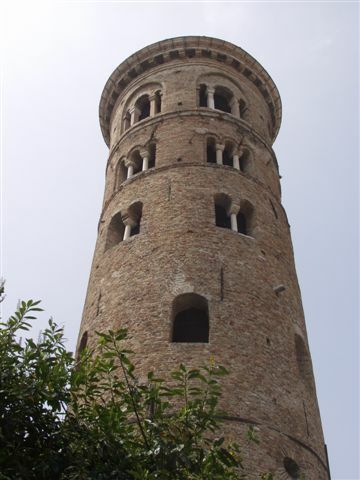 Here I was with my family, my husband and two lively tiny tots, in the port city of Ravenna. Our apartment was extremely modern and comfortable, but who do I interact with? Barely anyone spoke English, a language which does connect most people on the globe. There is a silver lining to every cloud and this was indeed a blessing. Initially, I started with sign language, a sort of everyday pantomime till I gradually learnt the local lingo. The warmth of the local folk was encouraging. They were so honest and matter of fact in their daily routine. I did miss my friends in Hong Kong for our morning coffee breaks and get-togethers but soon appreciated the western lifestyle for its pace and purpose. Everyone was required to contribute to the family kitty, working was imperative bringing not just financial help but self-respect and independence to the individual. In Italy, shopping for fresh fruit and vegetables was a pleasure. I remember our guests from UK and elsewhere commenting that food items here have their distinct taste and flavour, something they missed out when buying well-packaged supermarket wares back in their countries. The Italians have an exquisite cuisine; pastas are a favourite with delicious fillings and palate tingling sauces. Mama mia a pizza straight out of the forno (oven) is irresistible. Although I loved fish, the Italian sea food completely overwhelmed me. Believe me the Italian meal goes on and on amidst family chit chats and grand celebrations. An appreciable characteristic of the Italians is their family bonding. Although the nuclear family is the norm, yet there is genuine emotional support towards one another. My two infant daughters went to the asilo or kindergarten and their first language so to say was Italian – they spoke it naturally between themselves sometimes forgetting and wondering why we didn’t understand what they were trying so hard to tell us! As a family we also traveled extensively enjoying the winter resorts in Val d’aosta and Cortina. In the summer the local marina came alive with families making the most of the sun and sand. European tourists also thronged the beaches specially Germans coming in car loads adding to the local colour and bonhomie. The cultural heritage of this land be it Venice, Rome, Milan, Florence, Vatican City and the home city of Ravenna with mosaics and Byzantine art left onlookers spellbound and evoked a feeling of wonder for the artisans of yesteryears. Indeed even the countryside villages had a history to offer the tourists. We often wandered into these villages and the farm folk always delighted us with a simple meal accompanied by home brewed wine. ‘Ti fa bene’ they would say asking us to have more. These de-stressing drives are highly recommended to those living in metros. When the time came to move on there were tearful farewells. However, our friends in Italy have kept contact through the years carrying this bond to the next generation.